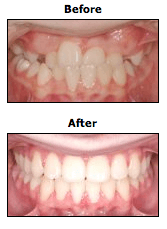 Orthodontics | Lindner Dental Associates, P.C. 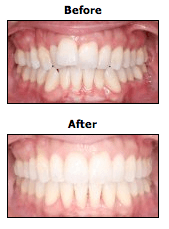 Orthodontists diagnose, prevent and treat dental and facial irregularities. As a Board Certified orthodontist, Dr. Lindner regularly treats young children, teens and adults. This adult orthodontic patient had crowding of upper and lower front teeth. In particular one upper incisor was protruded out of the normal arch. To achieve the desired result, this patient faithfully wore the series of Invisalign trays as prescribed as Dr. Gary Lindner. This patient began orthodontic treatment at age 10 with crowding of upper and lower teeth as well as anterior and posterior crossbites (upper teeth are behind lower teeth). An outstanding result was achieved with the use of conventional orthodontic appliances (braces) and a high level of cooperation. Great Job!!!! !